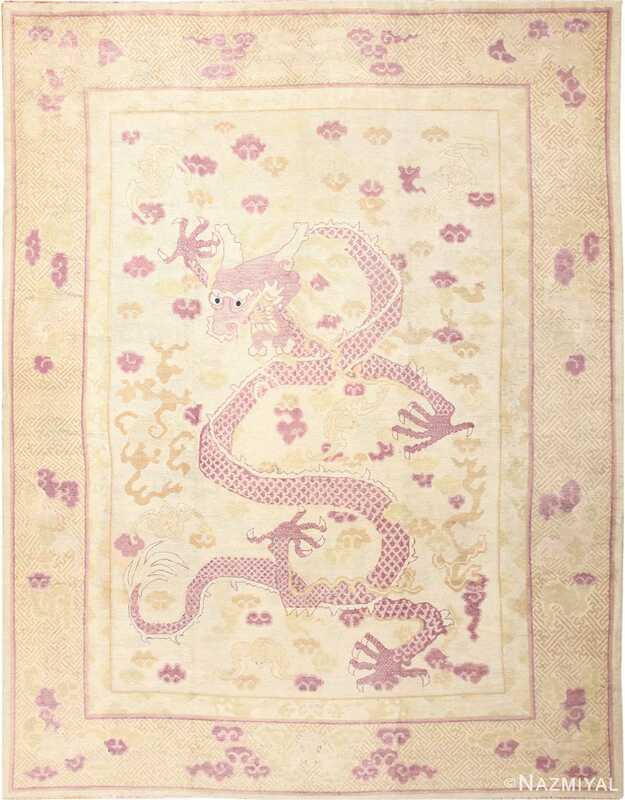 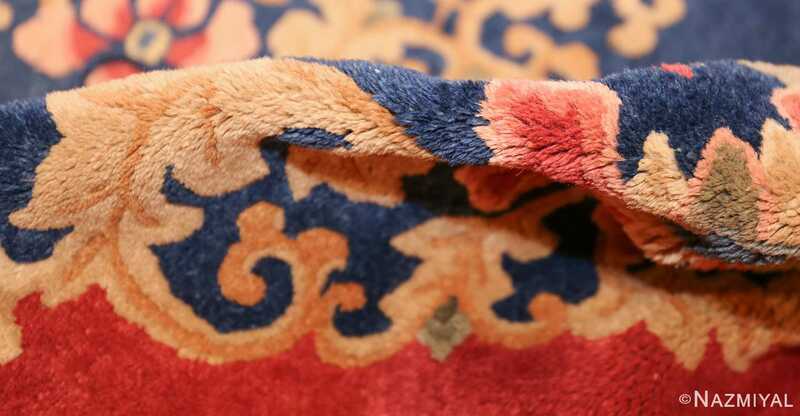 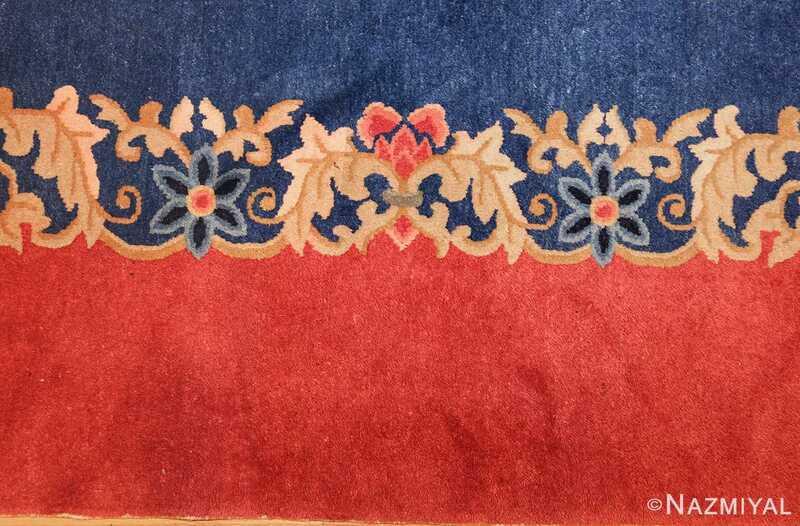 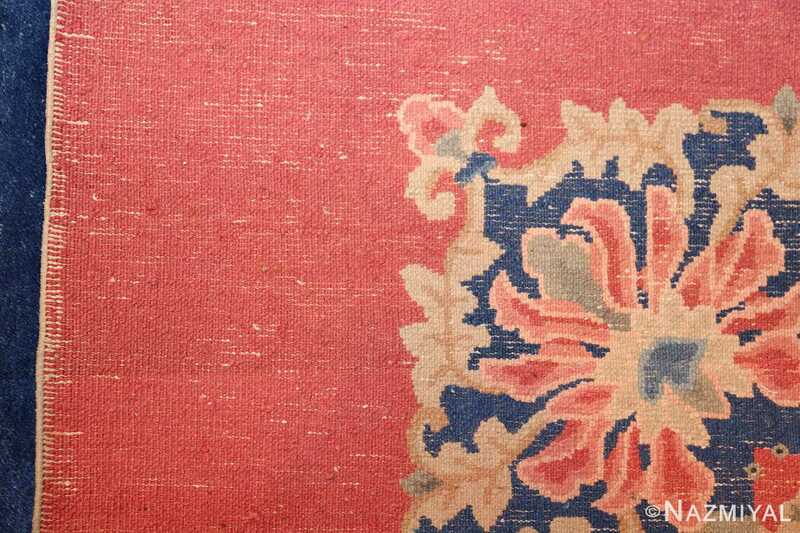 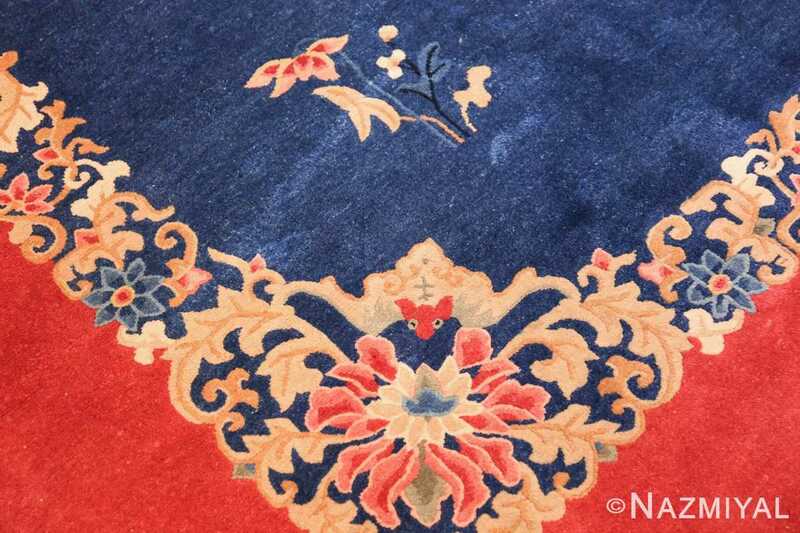 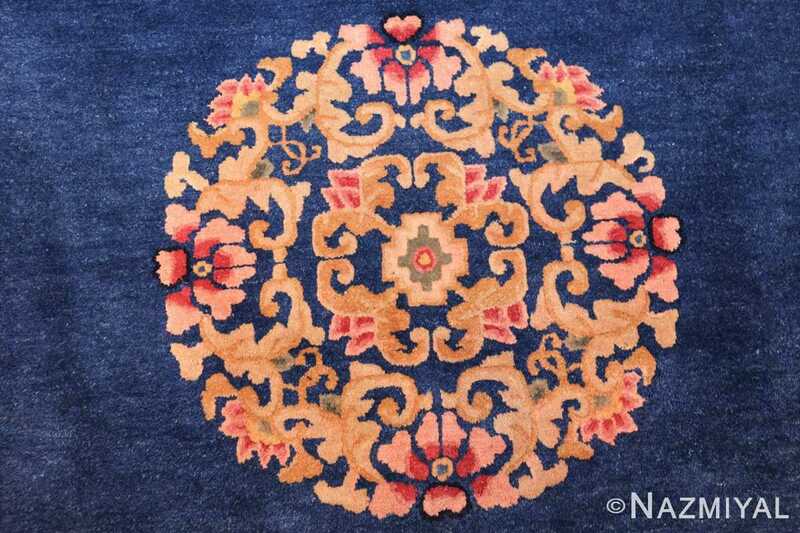 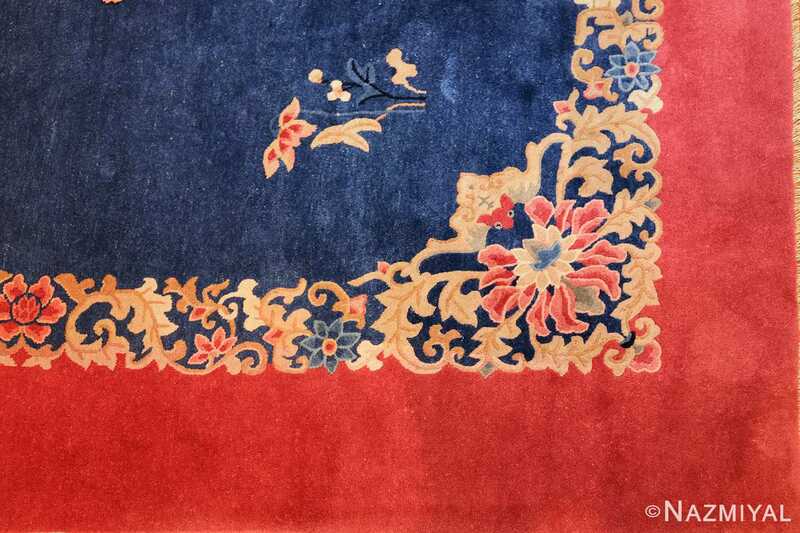 Beautiful Antique Blue Chinese Rug 49243, Country of Origin / Rug Type: China Rug, Circa Date: 1920 - With a vibrant red border dominating the surrounding landscape, it is easy to see why this antique Chinese rug is meant to captivate attention as a centerpiece. 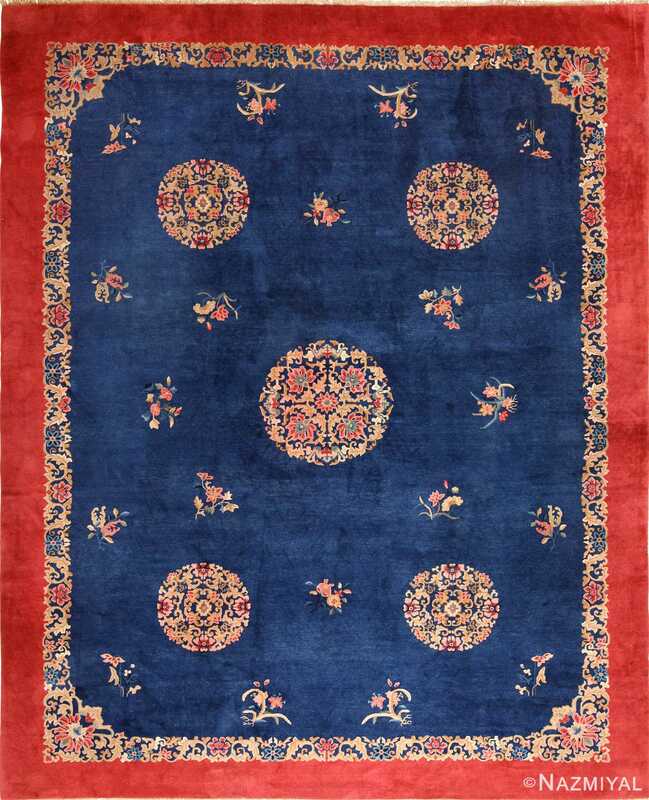 The brilliant vibrant color palette chosen allows different points, within the Chinese blue rug, to gracefully stand out. 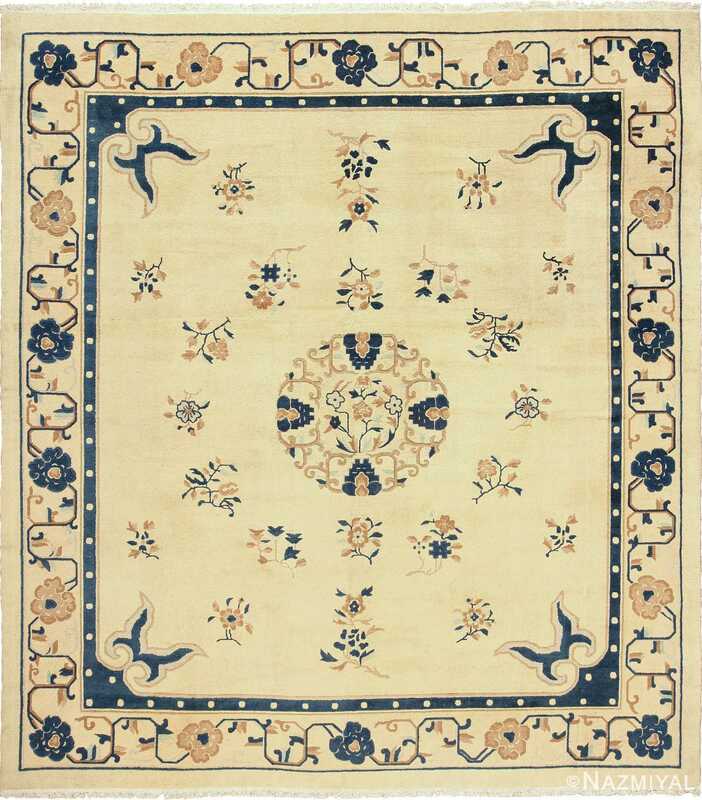 Lighter motifs encircle the sections of contact between the rich border and the dark center, and the same color is used to define the elements at the foreground within the center, which are beautifully arranged to convey a sense of order and symmetry. 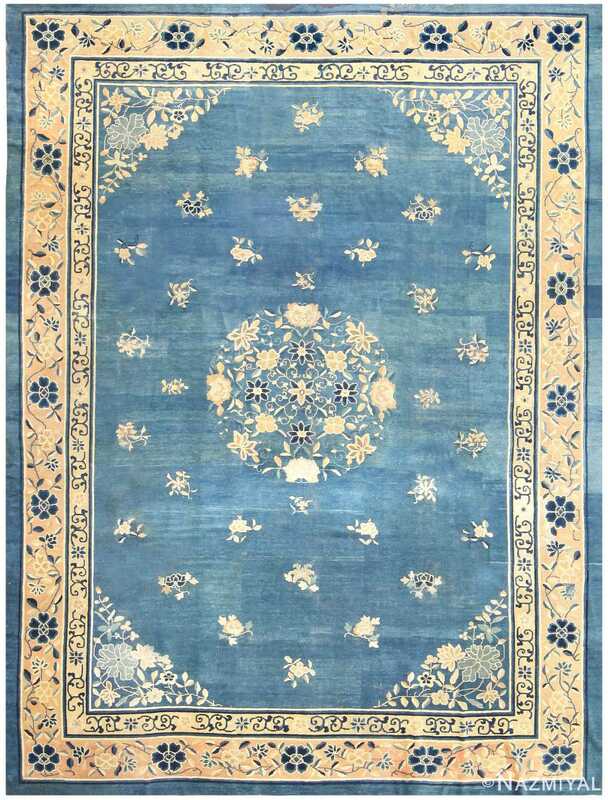 The dark blue at the core creates a night-like effect that accentuates the colors at the foreground of the oriental rug.